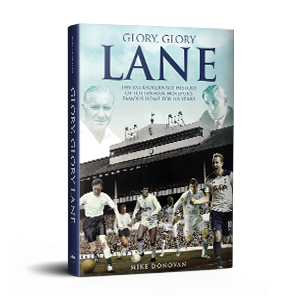 With Christmas fast approaching, it's time to remind Tottenham fans of the fantastic selection of club titles currently available, including two brand new releases: The Team That Dared to Do and Glory, Glory Lane. 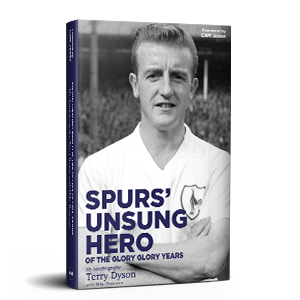 All seven of these books make perfect Christmas gifts and stocking fillers for the Spurs fan in your life, from Got, Not Got's rich array of memorabilia and memories to the reminiscences of Terry Dyson; from A People's History to Greatest Games and On This Day. Or why not go ahead and get yourself a festive Tottenham treat?. 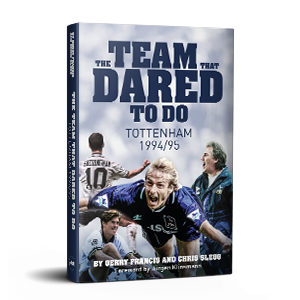 In 1994/95 the Tottenham team took the club motto 'To Dare Is To Do' quite literally. Klinsmania swept throughout the land, with goal-crazy games and dramatic cup comebacks, while chairman Alan Sugar took on the FA in the courts. Read the diary entries of manager Gerry Francis and the memories of the players who formed The Team That Dared To Do. 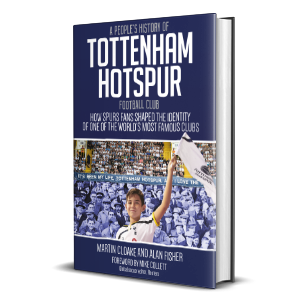 A People's History of Tottenham Hotspur is the story of how fans helped create the identity of a world-famous club. Through archive material, original research and the voices of generations of supporters, lifelong fans Martin Cloake and Alan Fisher define why a team in north London means so much to so many. 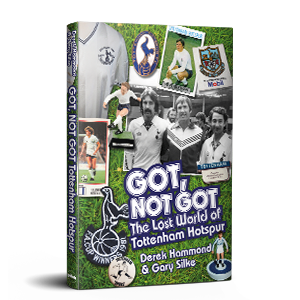 Got, Not Got: Tottenham Hotspur is an Aladdin's cave of memories and memorabilia, guaranteed to whisk you back to White Hart Lane's fondly remembered 'Golden Age' of mud and magic. Here's Gascoigne, Greaves and Archibald on stickers and in comics, Spurs Subbuteo and petrol freebies, league ladders, big-match progs and tickets, and much more. The untold rollercoaster tale of the forgotten member of one of the greatest club sides of all time. Terry Dyson breaks a half-century of silence to put the record straight. He was reckoned key to Bill Nicholson's legendary team - the first Double-winners of the 20th century and the first British side to lift a European trophy. Described in atmospheric and evocative detail, here are 50 of Tottenham Hotspur's most glorious, epochal and thrilling games of all! 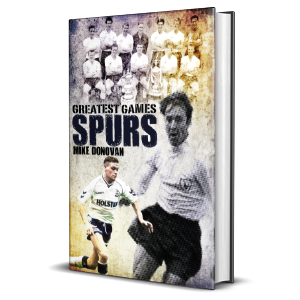 Spurs Greatest Games offers a terrace ticket back in time, revisiting historical highlights including great derbies, landmark European wins, league and cup victories, including the 20th century's first Double. 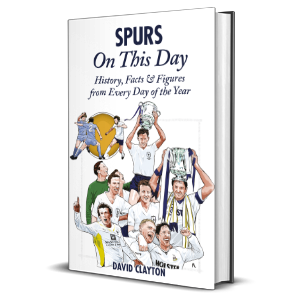 Spurs On This Day revisits all the most magical and memorable moments from the club's past, mixing in a maelstrom of quirky anecdotes and legendary characters to produce an irresistibly dippable diary of the club's history. From their Victorian roots as Hotspur FC to the Premier League era, there's an entry for every day of the year.